Charles King is an inspirational story of a blind man who thought he lost everything only to realize that with the loss of his eyesight he had gained a world much greater than what he once had. Charles lost his eyesight, lived on the streets, battled addiction, survived prostate cancer, lost his daughter in 2000, and continues to struggle with arthritis and diabetes. 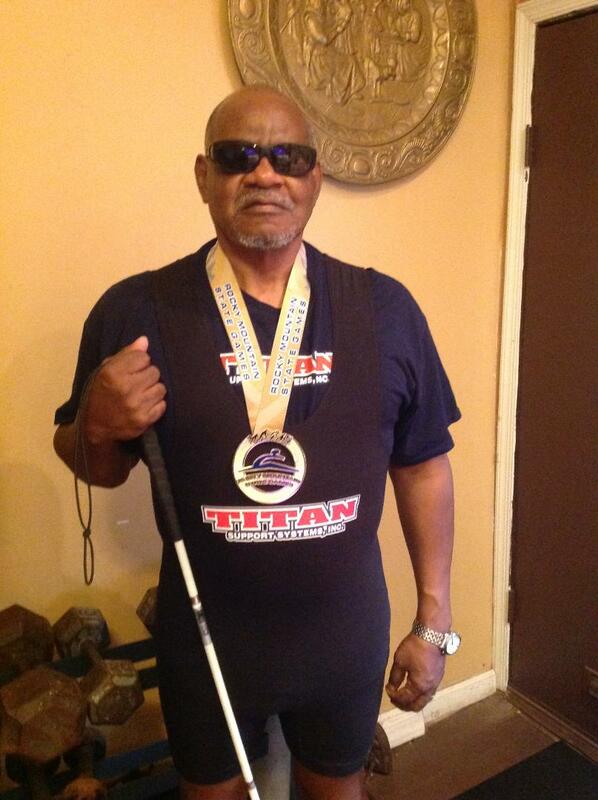 At 68 years old, Charles King is the oldest blind power lifter on the USABA team with gold medals nationally and internationally. Driscoll Cares is seeking a sponsor to offset expenses relative to Charles King’s training and transportation to the U.S. Blind Powerlifting Championships and the next Blind World Games. Charles King, a U.S. Army Veteran and accomplished tradesman lost his eyesight 25 years ago as a result of hereditary acute glaucoma. “Having had sight for the first thirty or so years of my life and suddenly having to live within the boundaries of my imagination, without external stimuli is a very depressing situation for a blind person. One of the most stressful and perplexing symptoms of being blind is not being able to have visual aids to assist with mood swings or re-evaluating personal goals” Charles loss of vision sent him into a spiral of depression, alcoholism and drug abuse. He left his family to live on the streets of Philadelphia, “hoping to die there”. In 1995, King weighed less than 150 pounds and was a “classic homeless person on drugs”. One extremely cold day in 1995 University of Penn police found him frost bitten and brought him to the emergency room at the VA Medical Center. 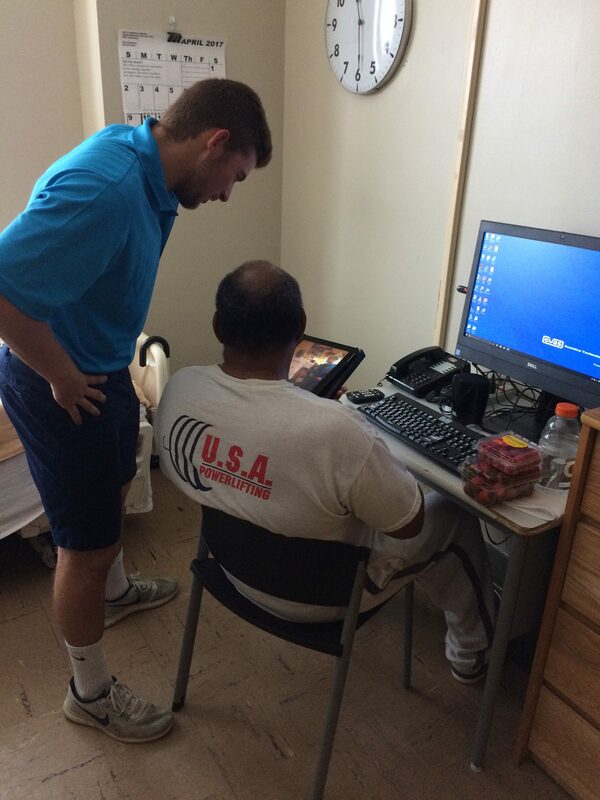 At this moment an angel in the form of GW Stilwell, coordinator of the Blind Rehabilitation staff at the Philadelphia VA Medical Center came into Charles’ life and a transformation began. The support of Mr. Stilwell, the VA programs and the introduction to power lifting professional Joe Braca saved Charles life. “Teaching a blind person to power lift is a huge challenge and personal commitment on the part of athlete, coach and support team”. 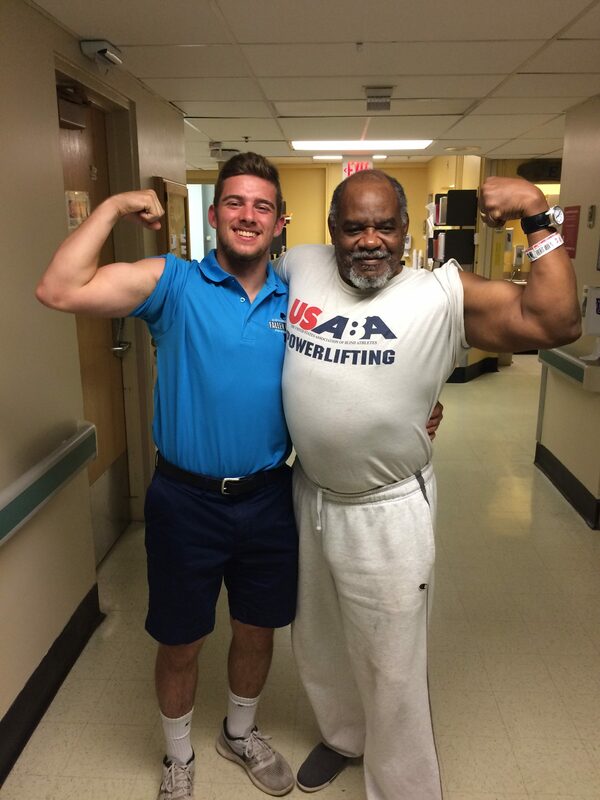 Power Lifting created hope which pulled Charles from a state of depression and despair and put him on the road to self-confidence, self-esteem and great achievement. Charles King, a blind man, half frozen and dying on a Philadelphia street rose to become a World Champion Athlete (carrying the American Flag into the Seoul South Korea World Blind Game Arena), reigning U.S. Gold Medal Blind Power Lifting Champion, college graduate and motivational speaker. 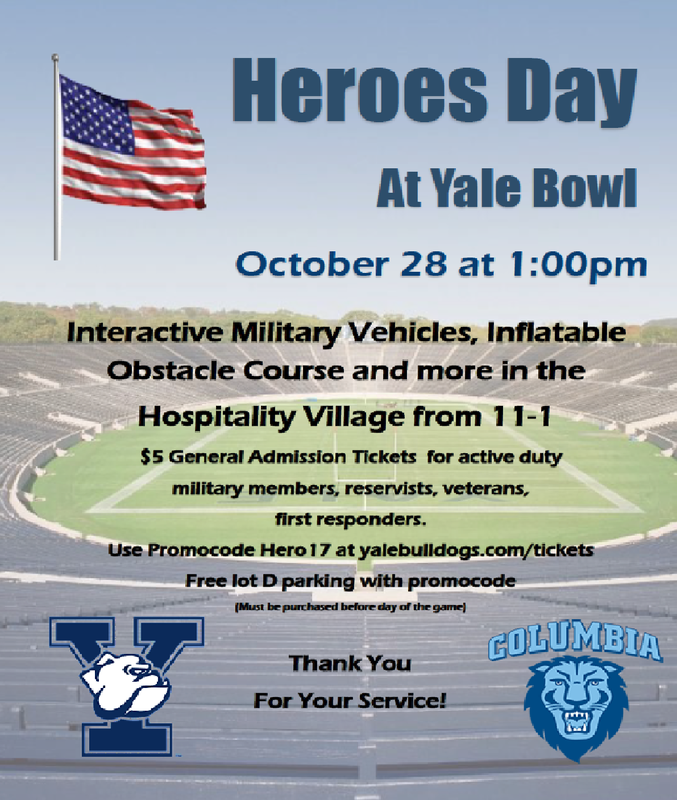 Charles King was honored on Heroes Day Saturday October 28, 2017 at the Yale Bowl prior to the Yale Columbia football game. To learn more about the success of Heroes Day and view pictures, please click on the Events Tab and Gallery. Logan Driscoll President and Founder of Driscoll Cares along with Mr. King’s strength coach Joe Braca and other dignitaries proudly escorted Charles King into the Yale Bowl.